Milani, one of my favorite drugstore brands, has come out with a new line of Baked Blushes and I have to say that they're nothing short of amazing. 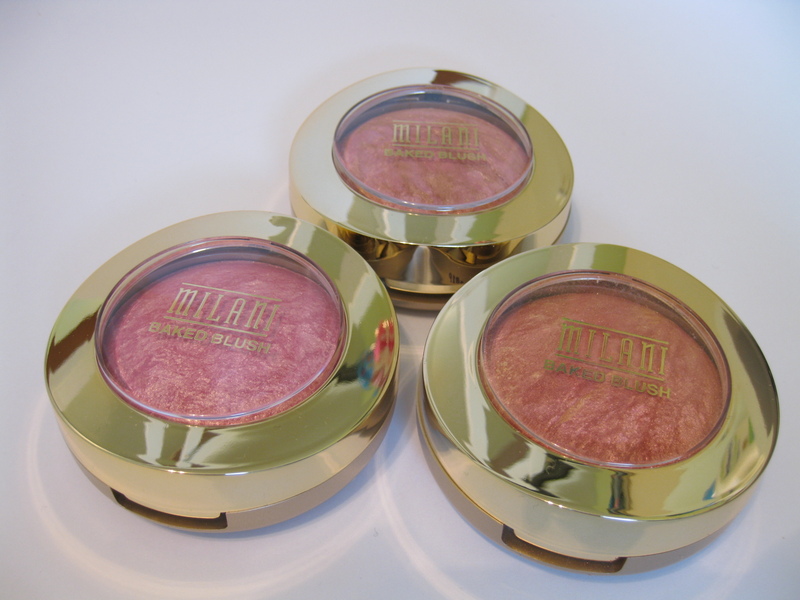 At a bargain price, Milani offers beauty junkies and blush addicts an affordable, yet quality product. 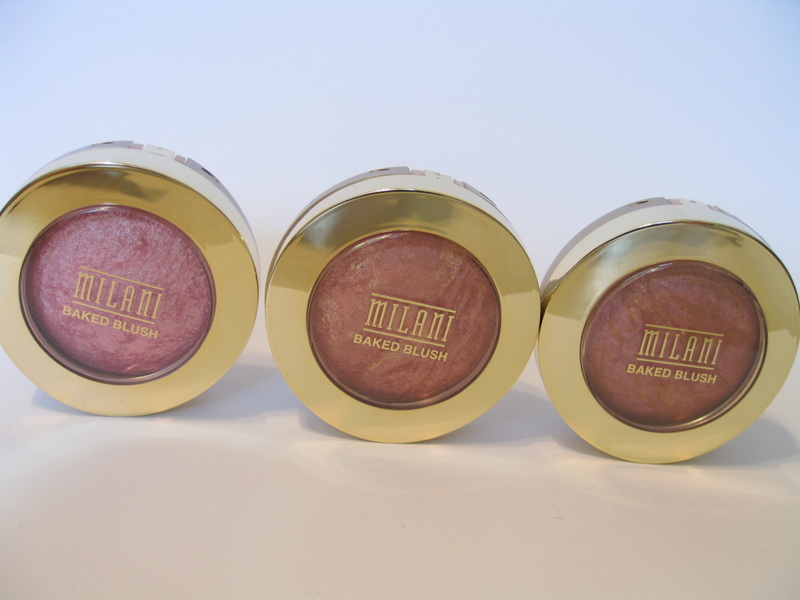 "A luxurious powder blush that features a mélange infusion of colors baked on Italian terracotta tiles. Easy to use, sensorial in texture, the nuances of color become extraordinarily luminous. 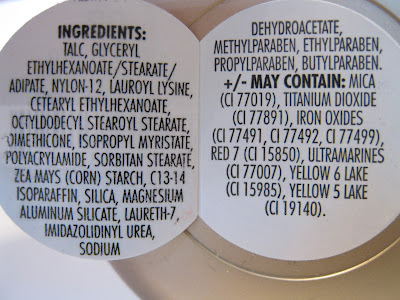 Silky smooth application leaves your face looking healthy and radiant all day." 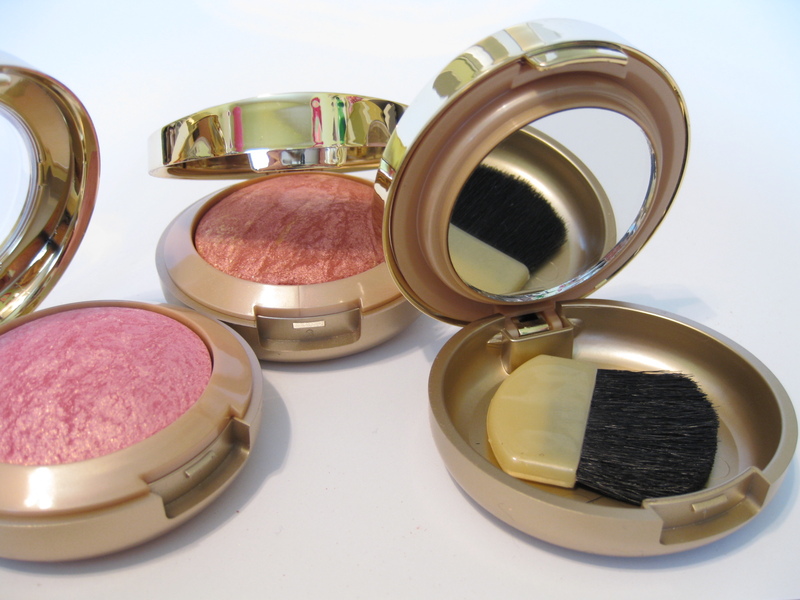 The Packaging: The blush comes in a gold compact with a mirrored, gold rim and clear "window" displaying the color inside. The bottom is gold as well but not mirrored. 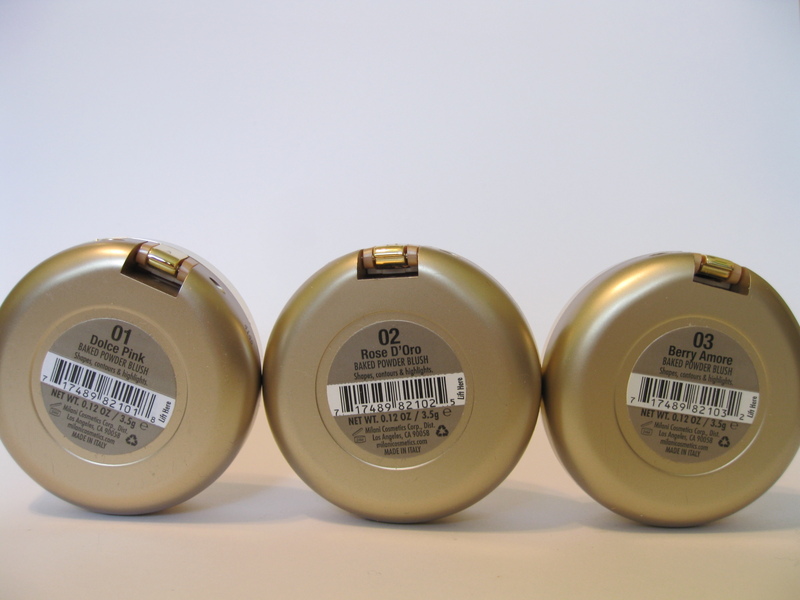 Inside the compact, the blush sits on top of a tray which opens up to reveal a blush brush and a mirror (attached to the underside of the tray holding the blush.) I love that this comes with a mirror as most drugstore blushes don't come with one. The compact looks nice but it's very light -making it feel cheap (but the again this is a drugstore product!) Also, the compact gets scratched up very easily. The tray (holding the blush) is also very loose and flops open easily -I'd prefer a more secure snap closure. And, not surprisingly, I don't like the brush. It's a bit stiff and scratchy and I would only use in if it was my last option. The Product: For a drugstore blush, this is amazing. 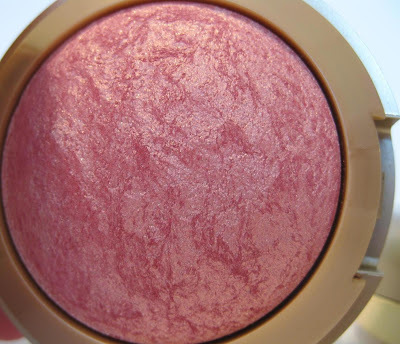 I've never liked another drugstore blush as much as I like this. 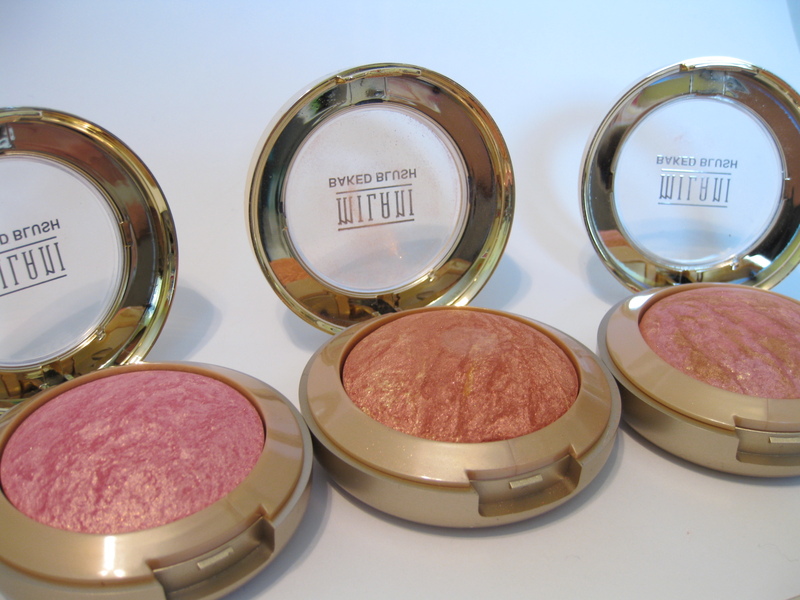 It even compares to most high end blushes. First off, the color payoff is great. The blush is buildable. 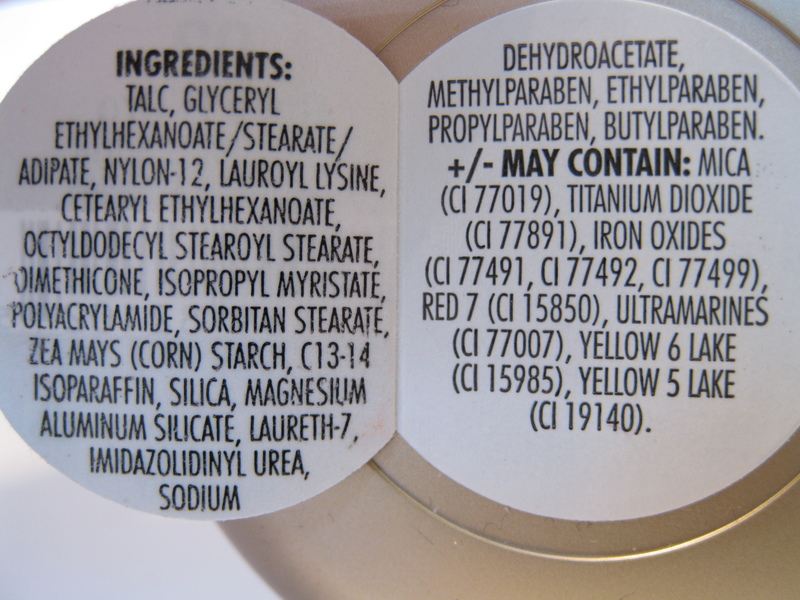 The formula is not irritating to my sensitive skin and didn't cause any itching, bumps, or breakouts. I did a test-run on (on bare skin) and assumed that it would only last about 2-3 hours since it's a drugstore blush and all. Totally wrong! After 5 hours, the color had faded a bit but was still noticeably there. And by 7 hours, it had mostly faded but I could still see the slightest tint of the blush and its leftover shimmer. Something I also noticed is that this blush is fairly similar to my favorite LORAC blush -the Baked Matte Satin Blush. Overall: Everyone who loves glowy, shimmery blushes needs to rush out and try at least one of these. If shimmer isn't your thing, stay away as plenty of sparkle and shine in this. But trust me, you'll definitely be missing out because this stuff is high end quality at only $7.49-7.99 at pop. Helpful Hint: Wait for a sale. Walgreens always has 40% off and/or BOGO sales on various beauty brands. The sales change weekly so keep checking your local ad. 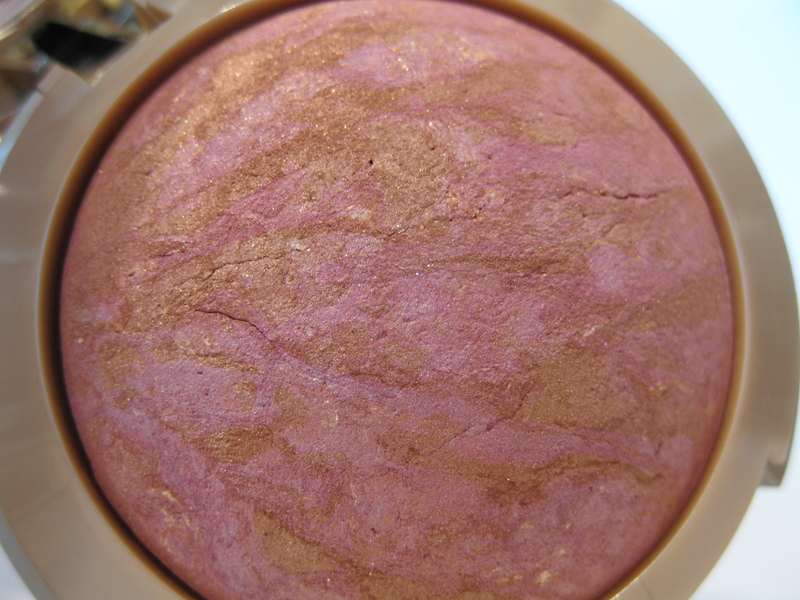 And last but not least, I must admit that I totally graded this baked blush on a curve. I feel that the product grade is always the most important -even more so than the overall grade. The product is definitely an "A" but I feel that the value may be more around a "7/10" (it's somewhat pricey for the amount 0.12 ounces you get) as opposed the the "8/10" that I gave it. When I did give it a 7, it lowered the overall grade down to a "B" which I felt was totally unfair, making me realize that a lot of times, the overall grade ends up being so much lower just because of a product's value or packaging grade! Also, even then, the total score added to around 89% but I had to round it up to an A- because the product itself is really "A" quality. With this being said, I think I'm going to go a little easier on the packaging and value grades from now on -especially when they lower a good grade by so much -sometimes even by a whole grade or two (unless the value is a total rip off or the packaging is horrible of course)! Maybe I should just give more points for the product grade and less for value and packaging? But then I'd have to change my whole grading policy. If you're interested/concerned, please give me feedback on what you think about this. These swatches are so gorgeous. I really like Dolce Pink! Pretty colors!! :] Great review, too. Your grading has too much math; I can't comprehend it. THese blushes look awesome! I wanted them but almost all the colors are sold out on Cherry Culture. those are really beautiful shades. I like the Berry Amore shade the most. 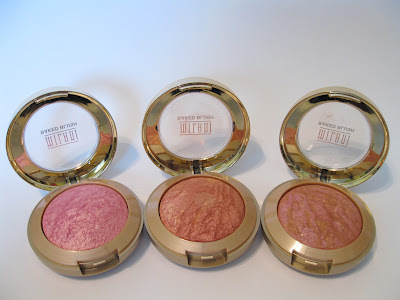 But I love matte blushes so I'll probably pass from these. These are so gorgeous. Thanks for this post- so helpful! @ Susalie.. I really like it too -it's my favorite of the 3. @ kaybee89.. Get it! You won't regret it.. Well, I hope you won't. =P Just think though, the price of 3 of these combined equals 1 high-end blush! @ PoorCollegeStudent.. I feel that way sometimes too. The thing is, I think a product grade should be based on packaging and value along with the actual product -which is why I have the 3 categories. Then, I add them all up and divide by 40. I'm still tring to find a system I fully love though. Agh, it's just so hard! @ Steph.. You're welcome. =) Glad it helped. Oh this is a pretty blush! I wanted Rose D'Oro but sold out on Cherry Culture. Boo!